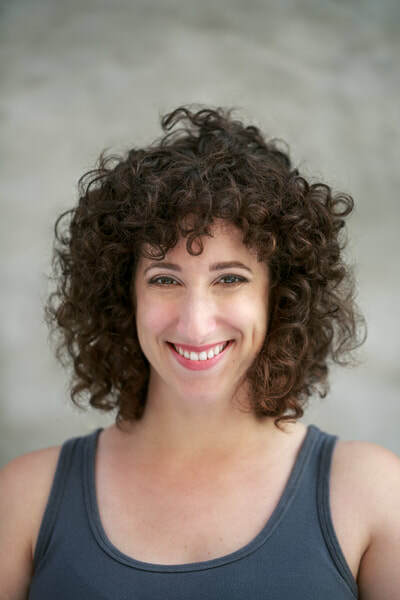 Maker of things, plucker of strings, and singer of songs that you ... sing, Alisa Rosenthal grew up in Evanston, IL, where she took classes at the Piven Theatre Workshop, becoming a member of the Young People's Company in high school. She went to college at the University of Iowa, double-majoring in English and Theatre Arts (with honors). Never one to squander not one but two liberal arts degrees, she spent a healthy amount of time working at an awesome independent gift store while pursuing her love of music and comedy. 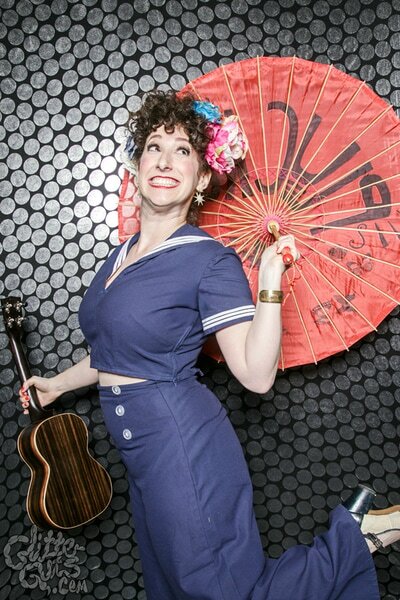 Now she's a teaching artist, songwriter, performer, occasional model, and full-time funny girl. 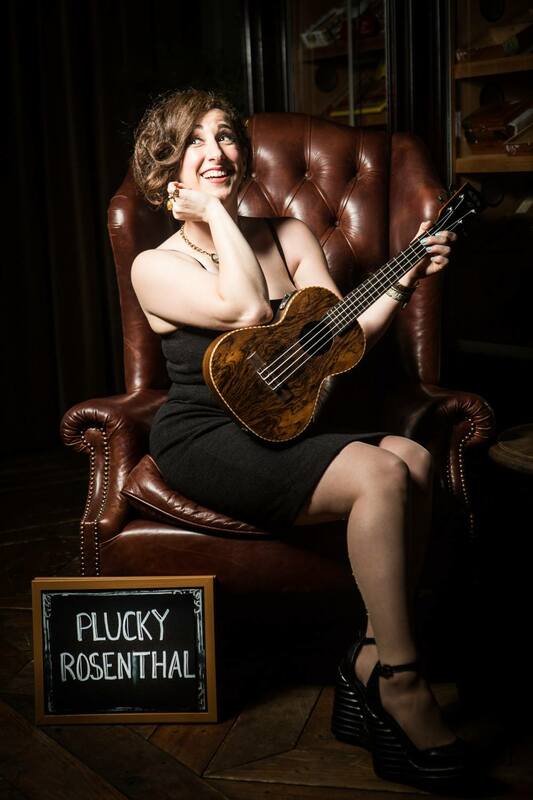 She performs vaudeville-style music and comedy under the name Plucky Rosenthal, fronts the kids' music band Pineapple Tree, and is the proud emcee for the Chicago League of Lady Arm Wrestlers. 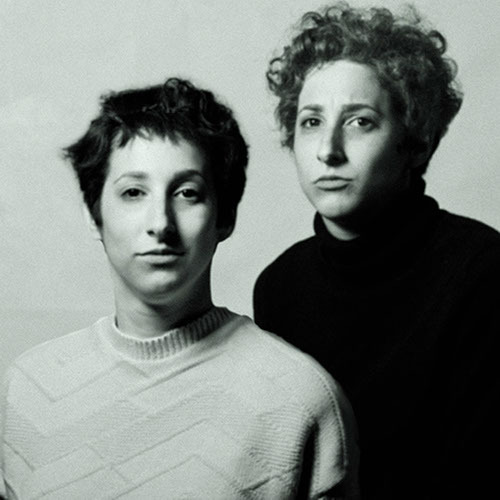 A semi-finalist for the Andy Kaufman Award (NY) in 2010, national performances include the Minnesota Fringe Festival, the Twin Cities Jewish Humor Festival, and Artscape Baltimore. 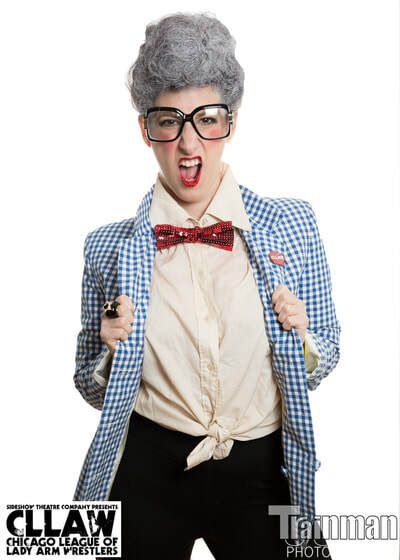 Locally, she's performed at the Chicago Women's Funny Festival, Zanies Chicago, the Neo-Futurists, iO Theater, the Paper Machete, and THAW Links Hall. She paints the town red with summer children's shows. 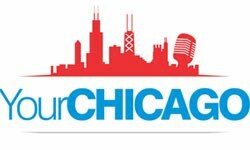 Recent shows include: Millennium Park, Lincoln Park Zoo, Ribfest, jBaby Chicago, the Irish American Heritage Festival, and Kids in the Square. ​Alisa is represented by BMG Talent - Chicago. Commercial work includes Smith & Forge Hard Cider and ShopYourWay.com. Resume and voice over demo available upon request. Q. So wait. What exactly is your job? A. Awesome question, Mom. 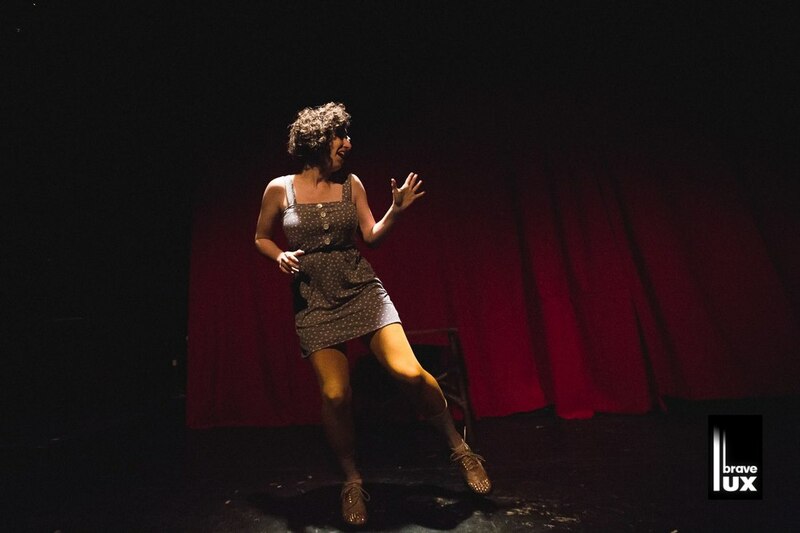 As a performer, I use all that fancy improv and theater training to write and perform original pieces - sometimes songs, stories, stand up, emceeing events, the list goes on and on. My favorite gigs include opening for silent movies as a vintage vaudeville singer at the historic Music Box Theatre, and being the emcee for the Chicago League of Lady Arm Wrestlers - an event that's just as glorious as it sounds while raising money for local theater company Sideshow Theatre along with a partner charity (past charities include the Chicago Women's Health Center, 826CHI, and Barrel of Monkeys). As a teaching artist, I teach music and theater classes at the Old Town School of Folk Music, and also do residencies in the Chicago Public Schools. These two passions combine when I perform kids' shows in the Chicagoland area. Summer and the winter holidays are usually my busiest times, so make sure to check my schedule if you'd like to catch a kids' show live! Q. Cool cool. Hold up. What's a teaching artist? A. I know, right? My degrees are in Theater and English, so I bring that training to all of my freelance work. After college, I trained with the Neo-Futurists, Second City, iO Theater, 500 Clown, and spent a summer at the Celebration Barn in South Paris, Maine - a physical theater school in a barn where I acquired my very own certificate in Eccentric Performing (FINALLY). As a kid, I took piano lessons for eight years, and then taught myself how to play guitar and ukulele when I was a teenager. I've been a singer my whole life, and am a surprisingly boisterous whistler. 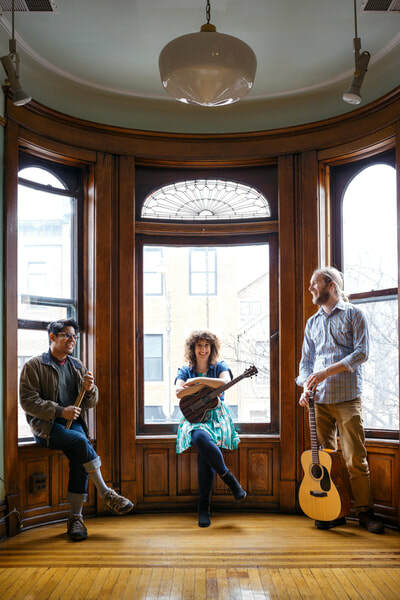 I've been teaching at the Old Town School of Folk Music since 2014, where my theater background marries beautifully with my ragtag folk music roots. In other words, teaching artist is a fancy way of saying I'm a professional artist (in this case, an actor and musician), who teaches all around the community. Q. How can I get involved at the Old Town School of Folk Music? A. I love getting this question. There are so many ways! You can take a class (guitar! banjo! drums! mandolin! dance! art! theater! ), a workshop (Beatles ensemble! ukulele tricks! ), volunteer, see a show, go to the cafe, and hang out in the shop! You can check the employment opportunities as well if you're interested in joining the team! All the info you could need is available at www.oldtownschool.org. Q. I don't have a budget, but I'm interested in booking you. Do you ever work for free? A. I hear ya! This is something I think about a lot, and is a debate that is near and dear to my heart. If you're with a charity, definitely drop a line and let's chat! If you are not a charity and have plans to make a profit from the work of the artists you're hiring without compensating them, unfortunately I'm not your gal. ​But! There are different ways to compensate your artists if money is something you just can't swing at the moment. I believe all artists should be compensated for their time and work, so consider offering other useful aspects to your artists. If your event is catered, photographed, or videotaped - these are excellent perks to offer an artist. Q. You look familiar. Where do I know you from? A. Most likely Jewish summer camp. And check out the behind the scenes video here! CHIRP Radio's quarterly storytelling & music series The First Time returns with a new cast of storytellers to talk about the theme "First Sign." Our readers will pair their story with a handpicked song that is then performed by our houseband, The First Time Four (Gerald Dowd, Steve Frisbie, Liam Davis, Scott Stevenson). Here, Alisa tells the story of enrolling in clown school, and how that was the sign she didn't want to be a professional clown. Song choice is "Green Grass" by Tanlines. 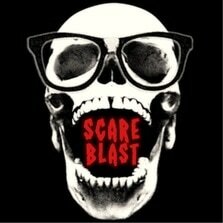 ​A scary movie podcast with host Lisa Burton who talks to fellow improvisers and comedians about one scary movie for every day in October. October 1-31st. 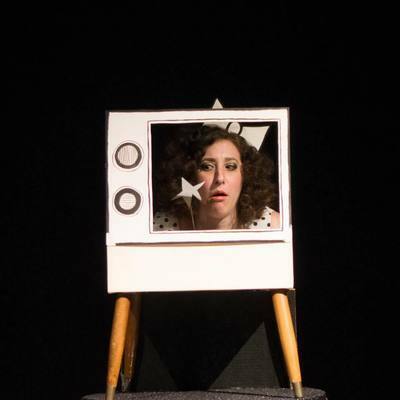 Meet Alisa Rosenthal, also known as Plucky Rosenthal the Jewish star of stage and stage. 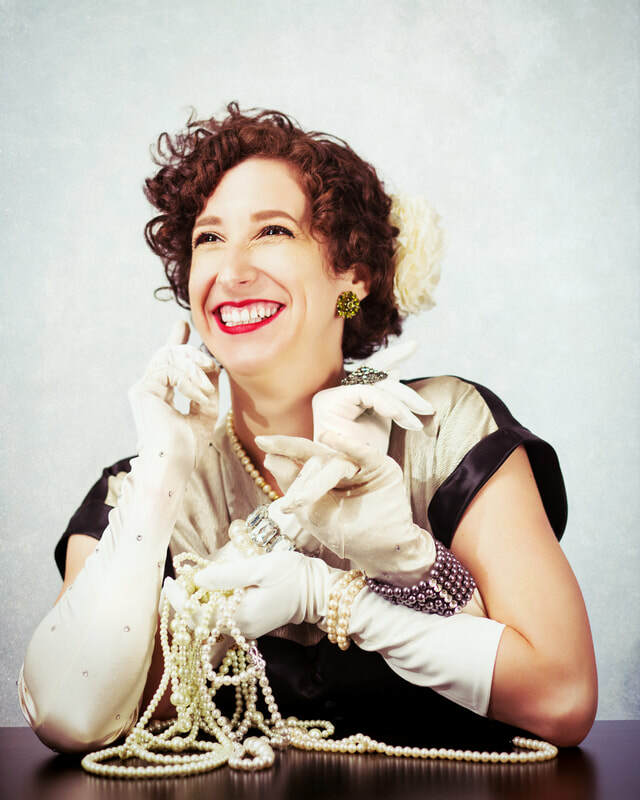 In this episode, the vivacious Alisa tells the story of her vaudeville variety act, encourages Chicagoans to drive, walk, transit and live with compassion for others and invites us to check out the Picture of Dorian Gray at the Art Institute. © COPYRIGHT 2019 ALISA ROSENTHAL.